With a population of about 1 million residents, Montgomery County makes up a little less than a fifth of the total population in Maryland. In addition to being the most populous county, it is also the most economically and politically significant jurisdiction in the state. Dozens of United States government offices call Montgomery County home, in addition to various national and international businesses. As a result it has one of the highest per capita income rates and education levels in the entire country, and unlike other areas there is no shortage of employment. The population has steadily grown over the past couple decades, and is projected to increase faster than most other large counties in the state. For such a large county the crime rate is not particularly high, and for some crimes the rate is actually dropping. Violent crime rates are on the decline and have been for a few years now, and property crimes have not been raised drastically. But as is true with most areas in a state with the third most per capita marijuana arrests in the country, drug crimes are on the rise. For a socially liberal county in a liberal state, there is no shortage of drug arrests, and it seems like there is no relief in sight. Law enforcement agencies such as the Rockville Police, Gaithersburg Police, and the county police make hundreds of drug arrests each year. Possession of marijuana is traditionally the most common drug crime, but possession with intent to deliver, and even drug trafficking are also relatively common. If you are a first time offender who is arrested for a simple possession drug offense in Montgomery County, a criminal defense lawyer may be able to negotiate a dismissal in your case through one of many avenues. The county is far from the strictest in prosecuting drug cases, and there is no reason why a first time offender will be forced to have a conviction in his or her case. A dismissal, or any result for that matter is never a guarantee, and it is absolutely imperative to retain an experienced attorney to represent you. A lawyer can assure that you receive the best possible plea deal from the state, and can also prepare your case for trial if that turns out to be the best option. 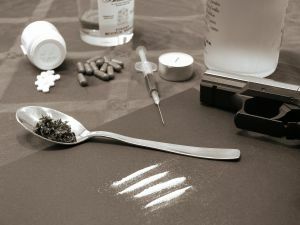 Most drug cases typically have search and seizure issues, and a lawyer may be able to challenge the way in which the police located the evidence in the case. Benjamin Herbst has filed and argued hundreds of evidentiary motions such as motions to suppress and motions to dismiss in drug cases. Just because the police accuse somebody of possession, dealing, or buying drugs does not mean that person must plead guilty. If you are charged with a controlled dangerous substance offense in Montgomery County Mr. Herbst is standing by to offer a free consultation. He is willing to travel to meet with you regardless of whether you live locally, or even out of state. The Herbst Firm represents a large number of out of state residents and college students who are facing criminal prosecution.